March 18, 2019 5:56 pm. Bons Away (r) is likely to run at Mornington in preference to G! races at The Valley or Rosehill. 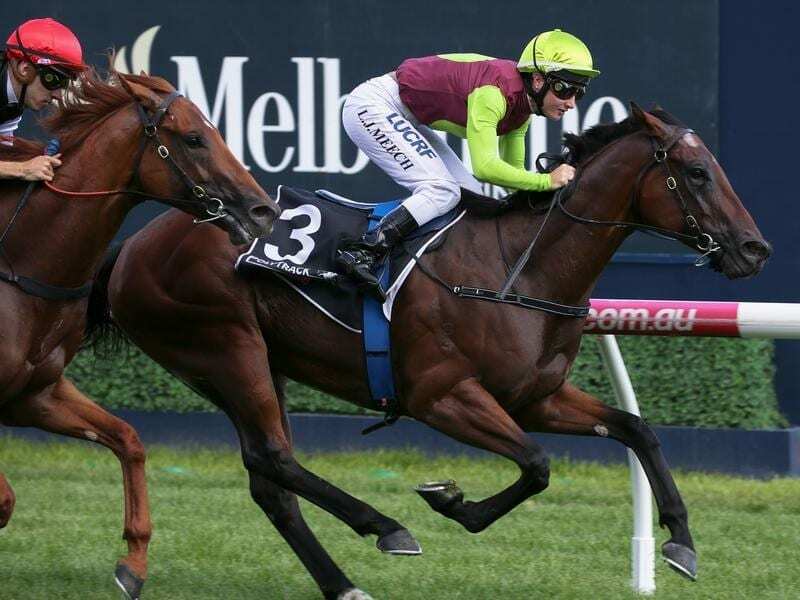 The gelding has been entered for Friday night’s Group One William Reid Stakes at The Valley, the Group One Galaxy at Rosehill and the Listed Hareeba Stakes at Mornington. Maher, who trains in partnership with Dave Eustace, is favouring the Mornington option. Stablemate Voodoo Lad has also been entered at Mornington but Maher is favouring the Valley race on Friday night for the seven-year-old. Bons Away and Voodoo Lad both ran in the Newmarket Handicap at Flemington on March 9 finishing 12th and 18th respectively behind Sunlight. Maher said Bons Away had come through his last run in good order and was a straightforward horse to train. “The Hareeba might be a little bit softer than the weight-for-age of the William Reid Stakes, so I’m probably leaning that way at this stage,” Maher said. Maher said Bons Away had the ability to win a good race. “If he gets the races run to suit him like his first-up win over Written By, he’s a high quality horse,” Maher said. Maher said the softer track at The Valley would suit Voodoo Lad who has been kept fresh at the trainer’s beach complex at Tyabb since the Newmarket. “He’s an older horse with a few niggles so we’ll keep him on the softer surface at the Valley,” he said. The Maher and Eustace stable has entered Guardini, Night’s Watch and Yogi for the Listed Mornington Cup with Guardini its only likely runner. Maher said Night’s Watch could run in the Ranvet Stakes at Rosehill, wearing a one-eyed blinker. He described Guardini as a character who was ticking over nicely and who should appreciate the 2400m.